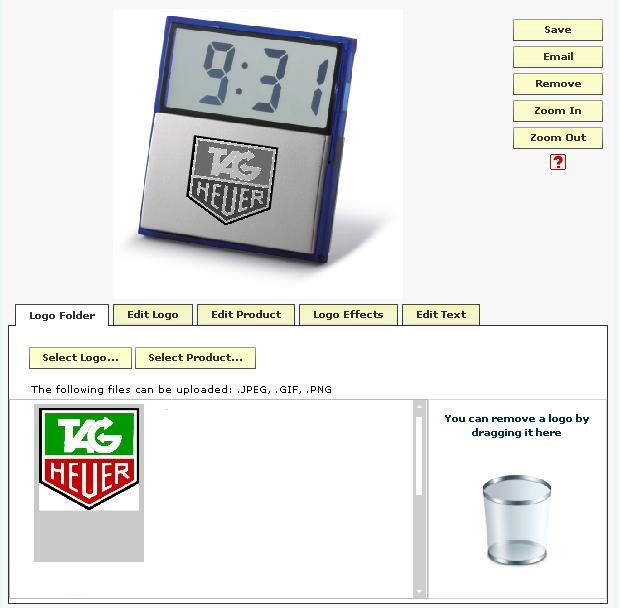 Add your Customer's logo to any product found within our database using our own logo application software. Create realistic virtual samples for review and approval by your Customers quickly and easily. SourcingMachine.co.za specialises in delivering the very best software for the promotional products industry at the most affordable prices. We are pleased to announce the launch of our brand new Virtual Sample software that can now be added to your own Company website too. Designed using the latest software, your Customers will be able to visualize their logo on your product without leaving your website. This will impress your Customer, speeding up the buying process, saving you money and freeing up your time. You don't even need to worry if your products are already printed as our Virtual Sample software has an erase logo function. Let your customers make their own Virtual Samples and get a copy sent to you with their details on when they send it to themselves. Our logo marking effects cover the main branding options and our comprehensive logo editing functions always deliver a professional result. Let us create an e-catalogue for your business to send to your Customer or for your Distributors(Resellers) to add on to their own websites and send to their own customers all with Virtual Samples functionality built in.